The Two Ewes record together this week since Marsha is visiting Kelly for the NoCKRs retreat (last weekend) and the Big Sur 21-miler (coming up this weekend). You'll hear about what inspired us at the retreat, the progress we've made on our current projects, and our plans to meet more listeners. We also talk about the idea of Spirit Yarn. The retreat was a great way for Kelly to get miles of spinning done! 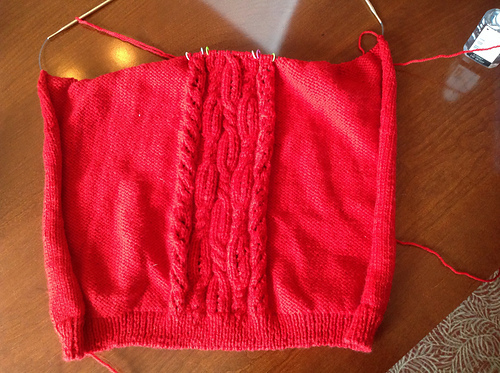 She worked on more of the yarn for her mother's Shibui Axis vest. Two large bobbins were filled and that should end up being 4-5 ounces of yarn once it is plied. Kelly also knitted on the Funky Grandpa cardigan that she is making out of handspun. Bottom edge is bound off. On to the sleeves! Both of these projects turned out to be great social projects. 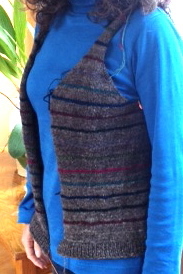 Marsha worked on her Fairfield Cardigan by Michele Wang. She also started the Shetland Crescent shawl by Kieran Foley, but made better progress on the sweater. Marsha was inspired by the colors at the retreat. California knitters seem to use more colorful yarns than knitters in the Pacific Northwest. One item in particular caught her eye. It was a beautiful version of the Stephen West shawl Exploration Station. She was also inspired to one day take a trip with Kelly to Rhinebeck, aka New York State Sheep and Wool Festival. All that inspiration has led to some big plans! 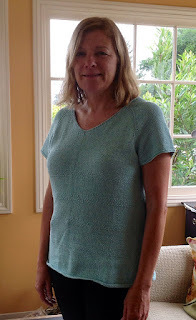 Kelly plans to make the Edie Tee since Marsha's finished project looked so fantastic on her. The projects at the retreat were so fabulous that Kelly was inspired to immediately queue the Mesa by Yumiko Alexander. It is a versatile garment that can be worn as a cape or as a shawl or as a poncho. She is also planning to make the Cancun by Erin Kate Archer. This boxy sweater is essentially a lace sampler. The version at the retreat was tunic length and very flattering! 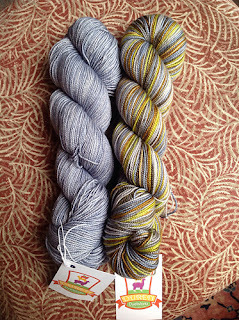 Both of the Two Ewes purchased the custom dyed retreat yarn from Duren Dye Works. Kelly is thinking of making the two-color shawl Sjø by Katja Löffler. 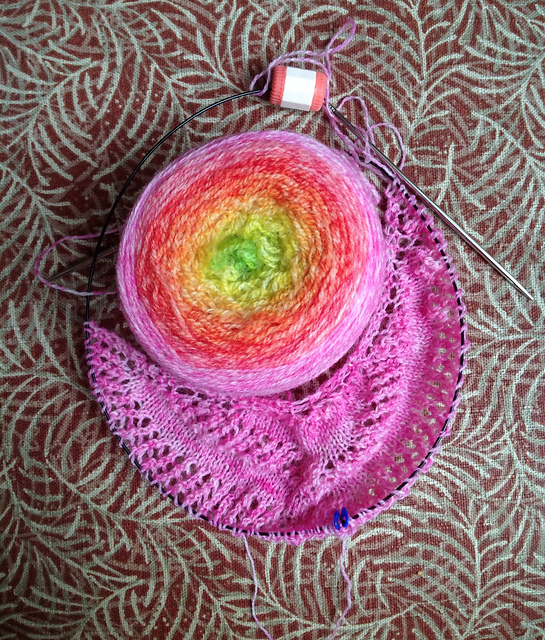 Marsha is considering the Daydreamer Shawl by Janina Kallio. Duren Dye Works NoCKRs yarn. 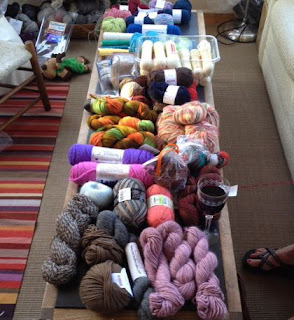 Marsha and Kelly enjoyed the de-stash room at the retreat and came home with lots of Spirit Yarn. These are yarns that have been loved at one time, but now need good homes. They contain such spirit and potential that just looking at them provides so much inspiration for projects to come. Our de-stash finds. Spirit Yarn! Going to the Black Sheep Gathering? If so, we have a meet-up planned for the afternoon/evening of Saturday, June 25. We hope you can join us. Listen to the show for more details.